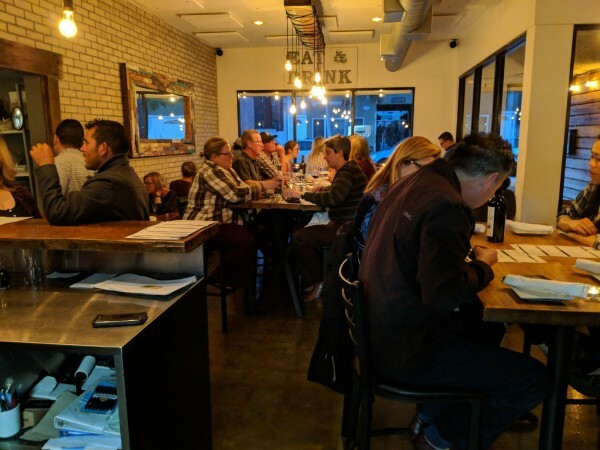 Modern eatery serving New American cuisine with a local, seasonal focus, plus craft drafts & wine. 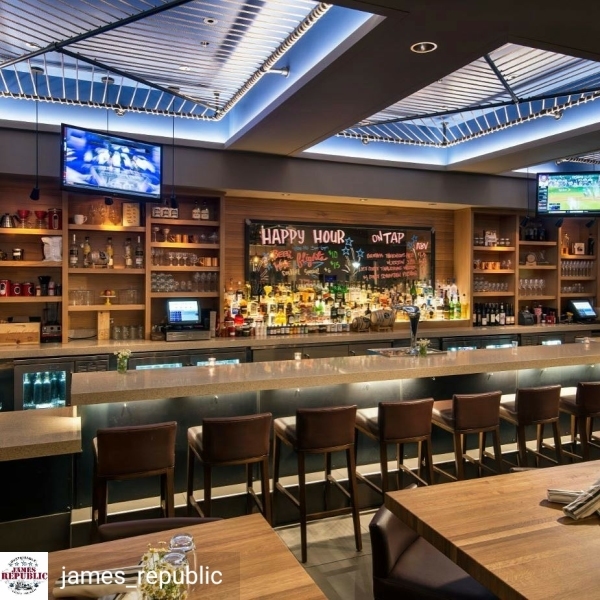 Marriott-based New American dining with craft beer & cocktails in sleek, stylish digs with a patio. 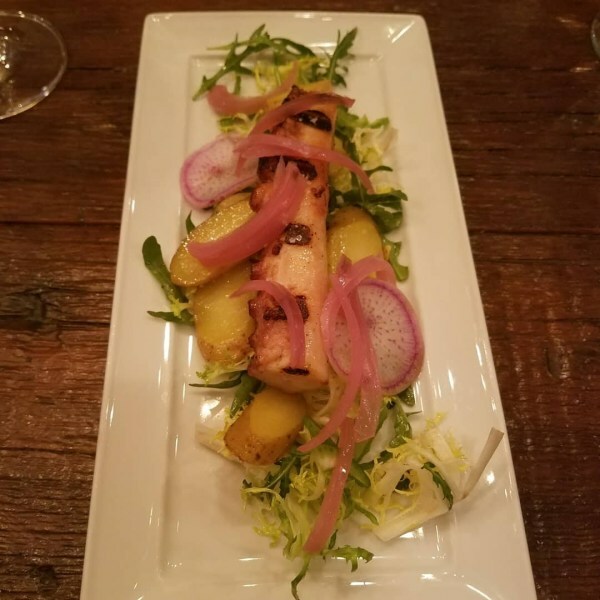 Elegant, rustic and honest food that takes your senses from classic, nostalgic flavors to new inspired dishes. 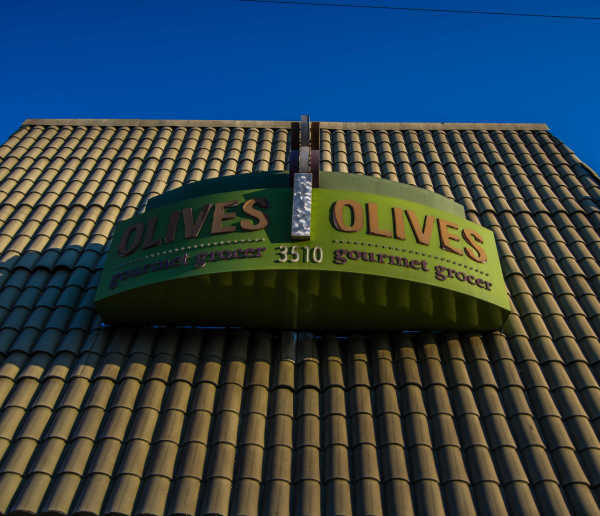 Olives Gourmet Grocer in Long Beach, CA is the place to find GOOD FOOD FOR EVERYONE. 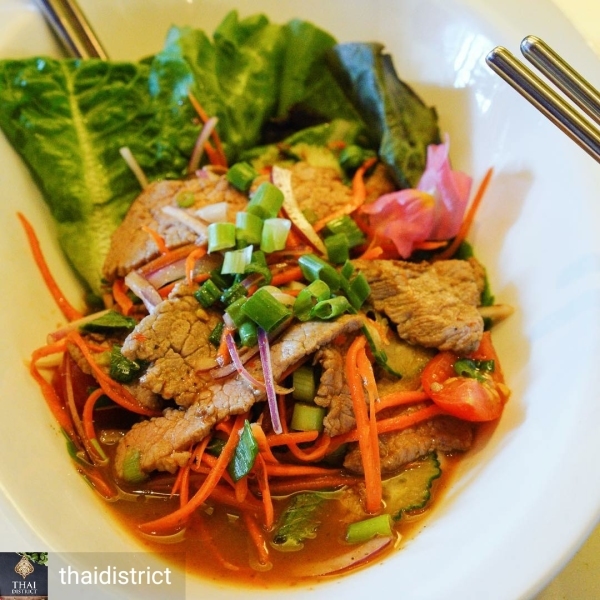 Pick up dinner, get a gift or meetup with a friend. 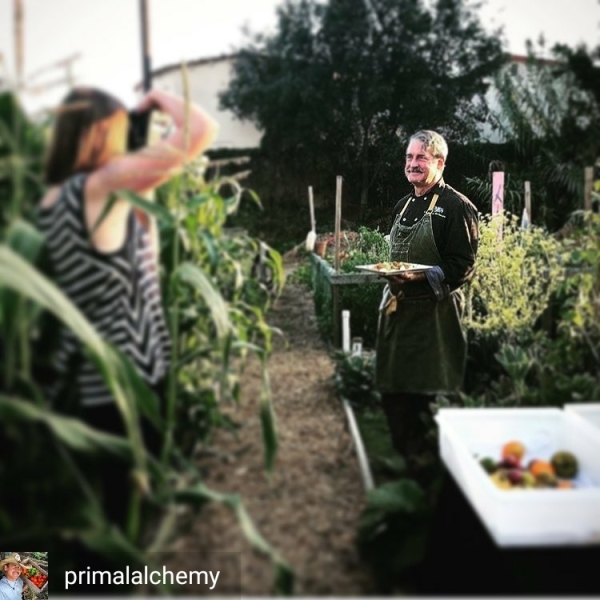 Catering service promotes using fresh food, in season, grown locally, whenever possible. 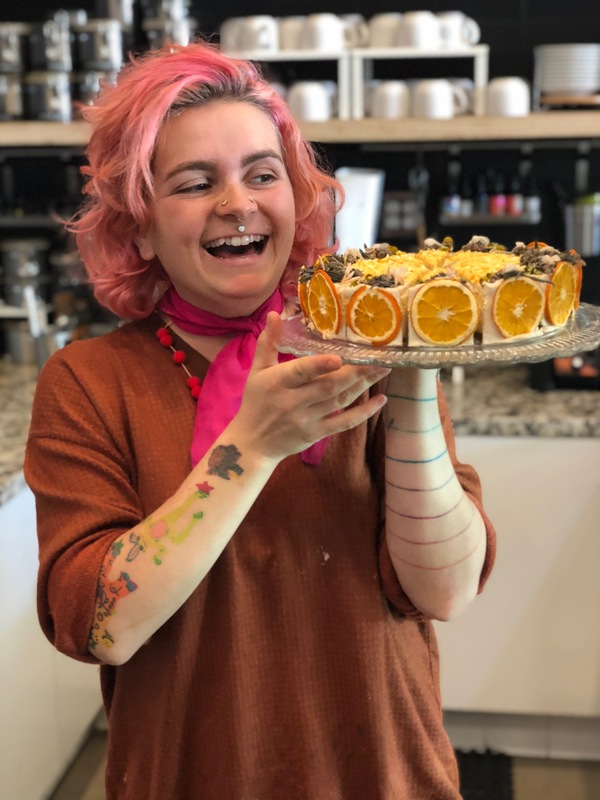 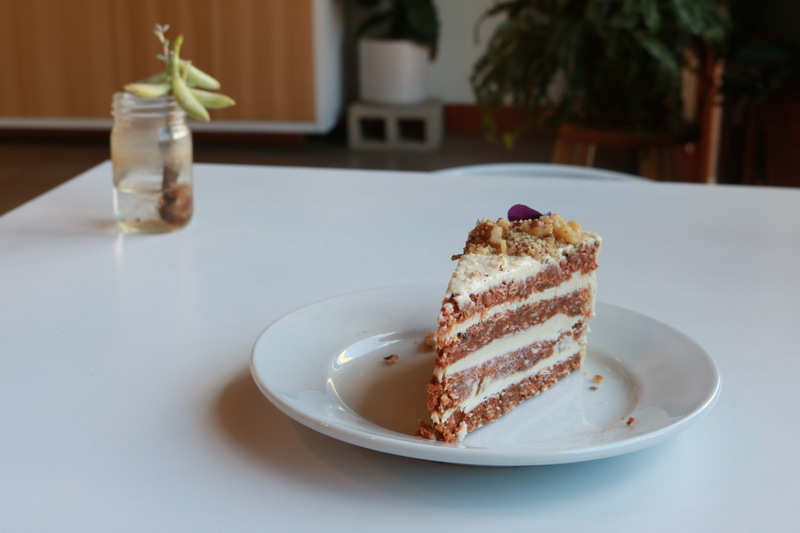 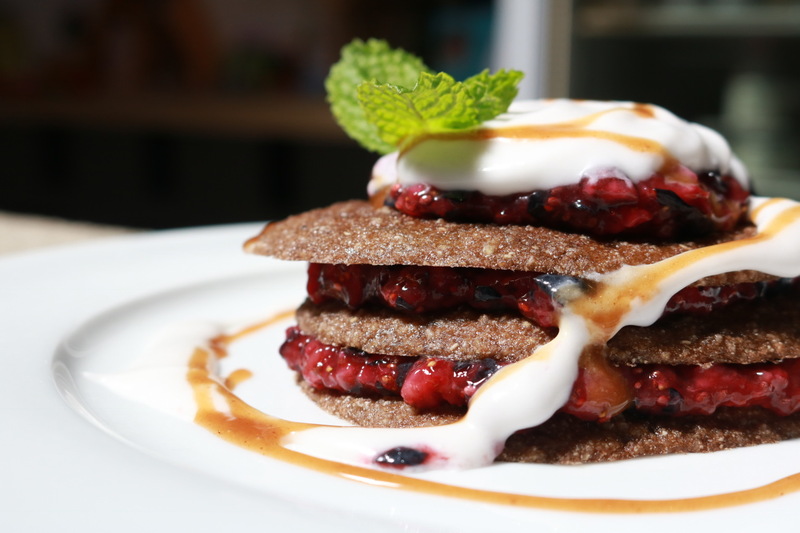 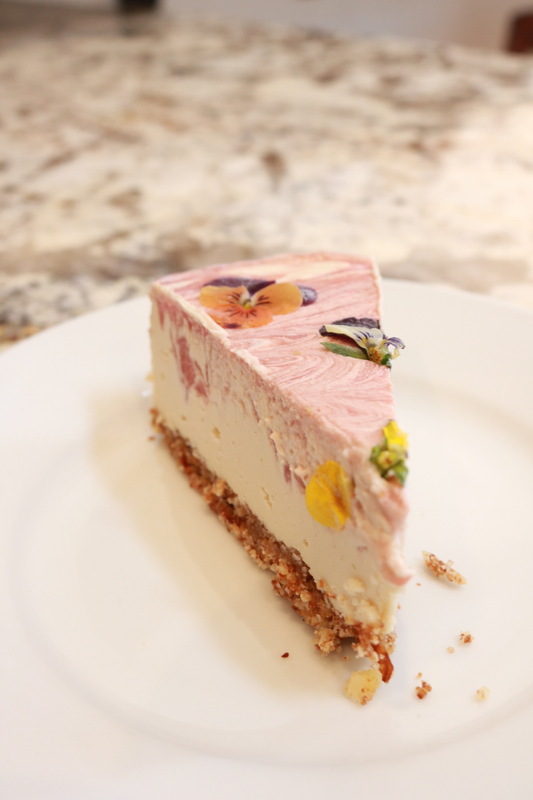 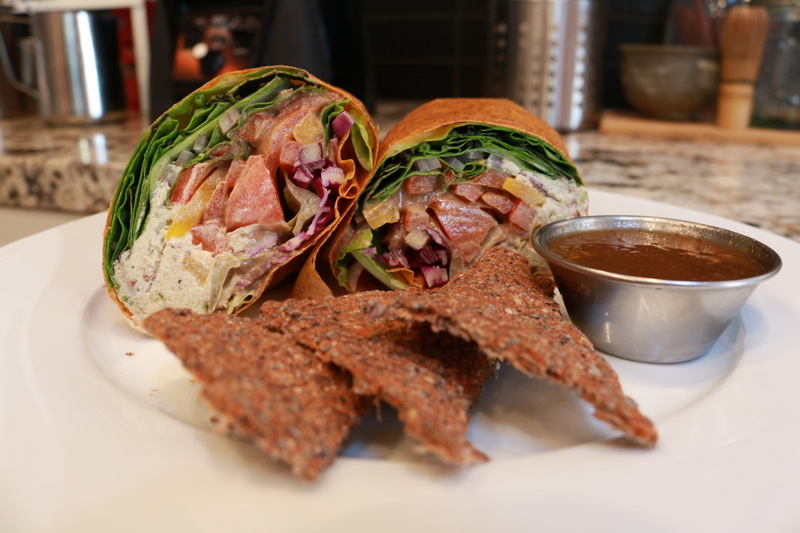 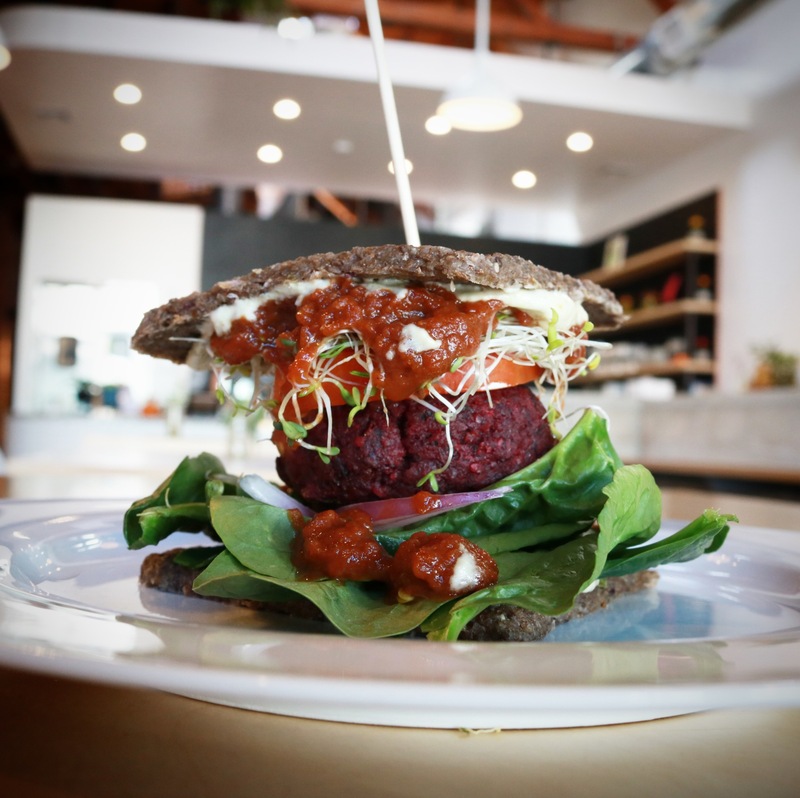 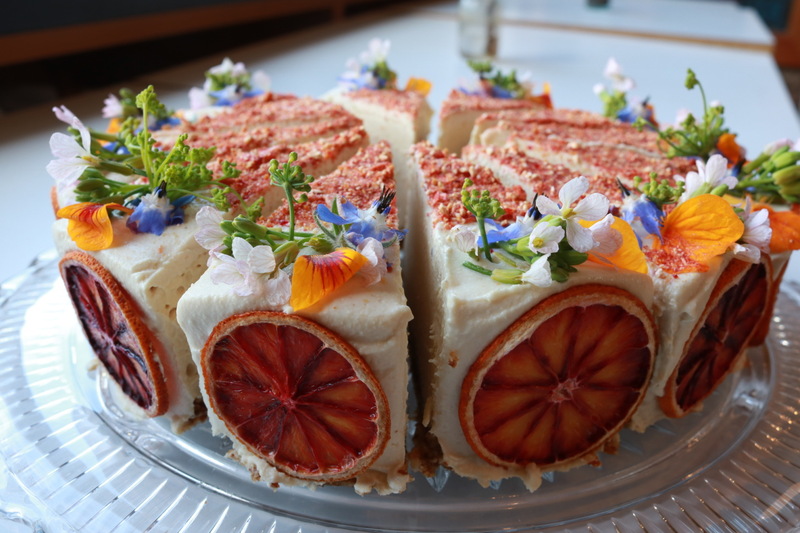 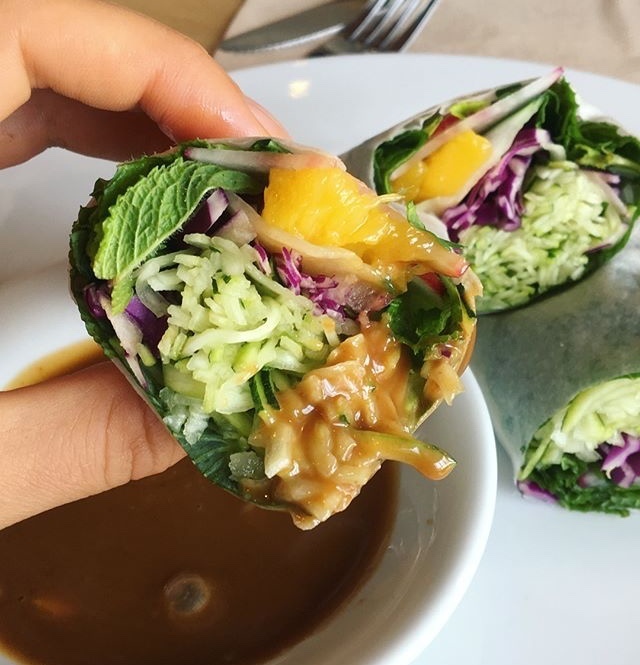 Raw, vegan cafe with entrees, smoothies, tonic drinks, and desserts. 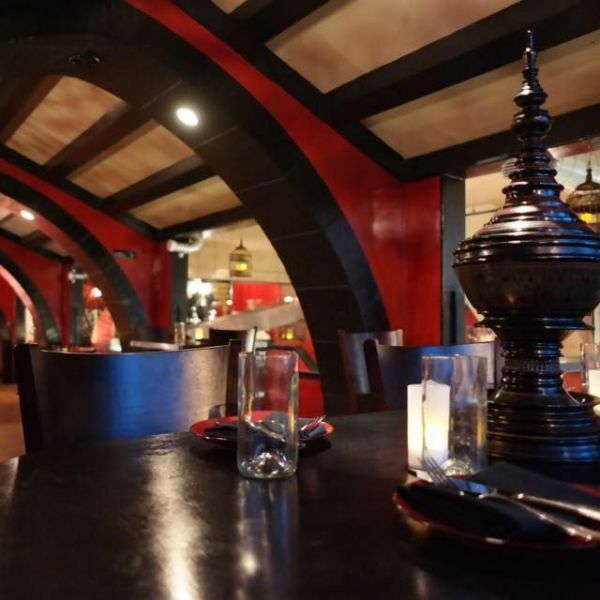 that are renown for exquisite dinning, serving hyper-local faire. 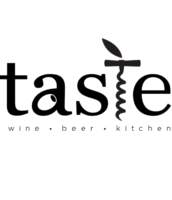 We are proud to partner with some of the Long Beach Areas finest. 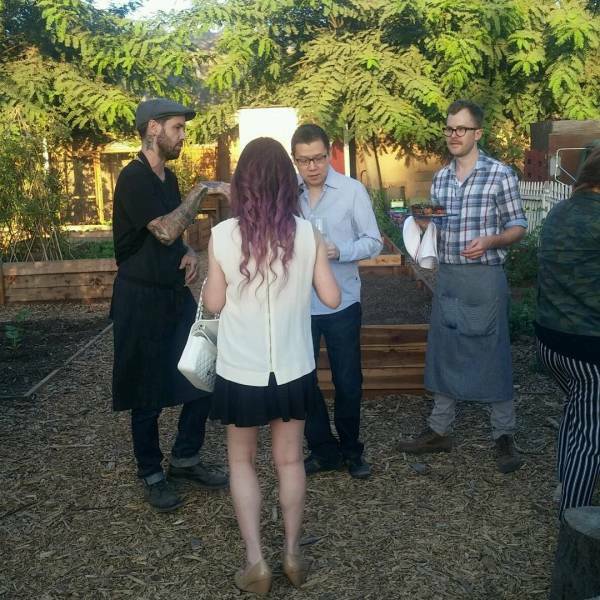 desire to practice sustainable methods and to support the Local food industry. 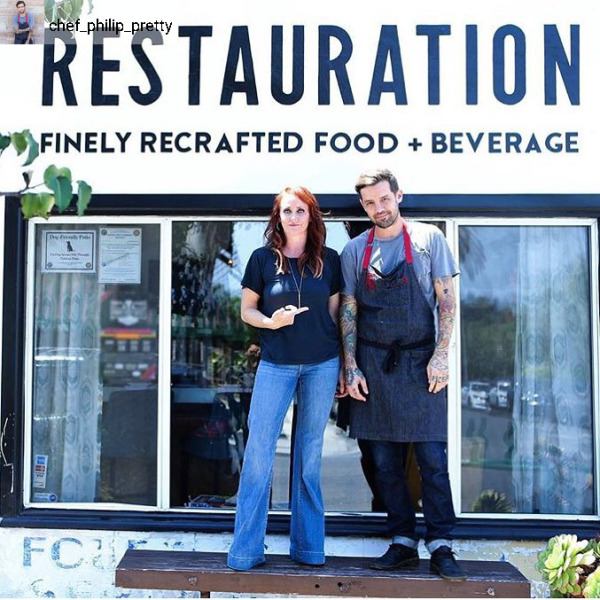 Restauration is a combination of two of our favorite words that are defining pillars of the Long Beach community: restaurant+restore. 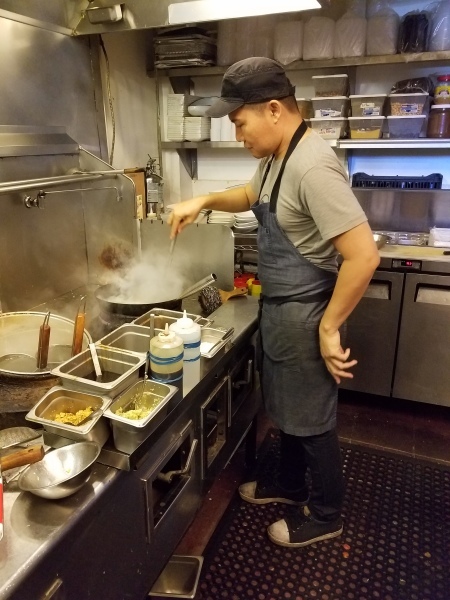 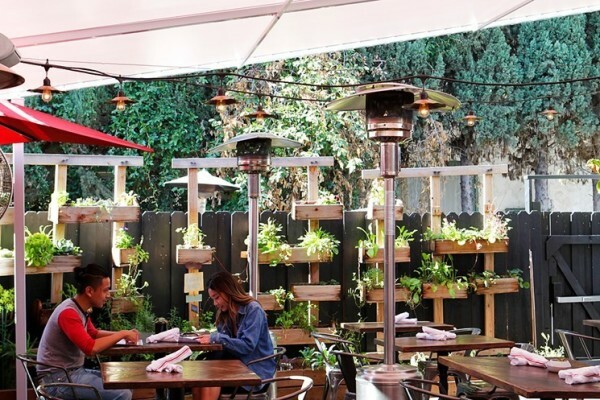 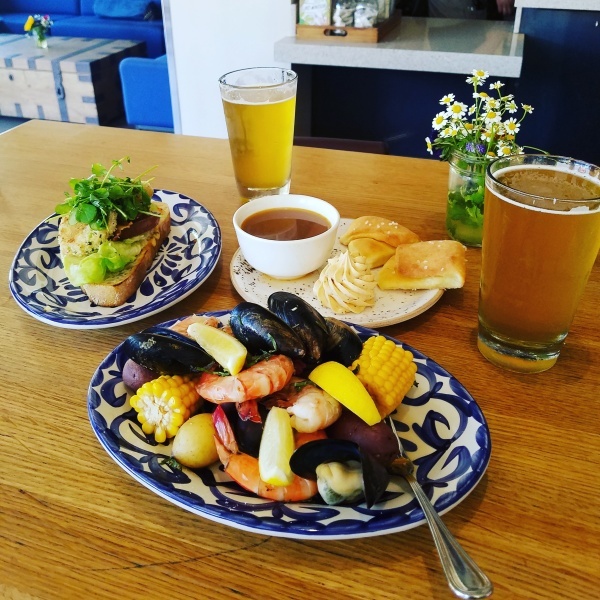 Situated in the vibrant and creative stretch on 4th street between Cherry and Temple dubbed Retro Row, our little eatery brings the Long Beach family together to pay tribute to the American culinary spirit while embracing modern fare. 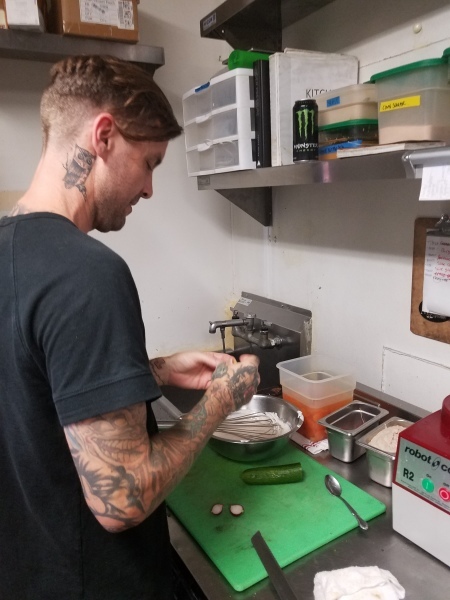 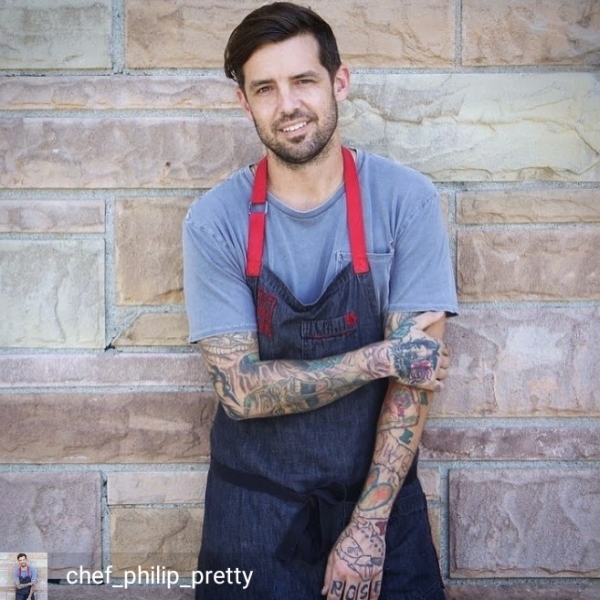 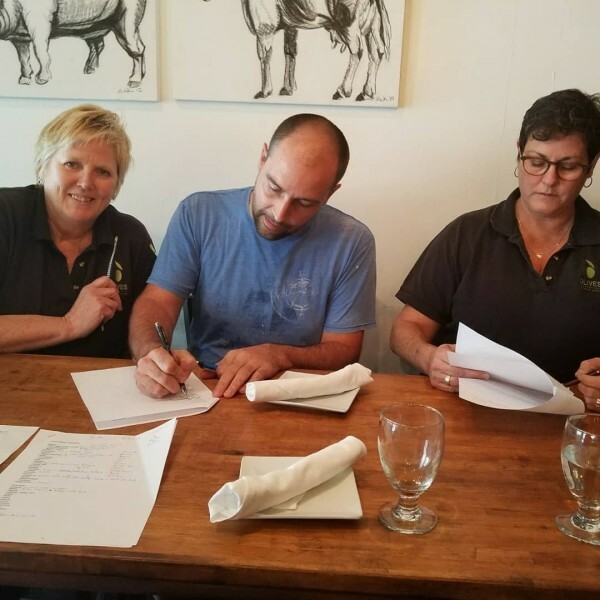 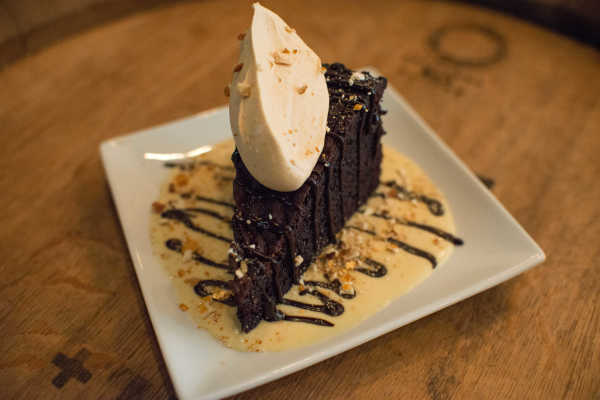 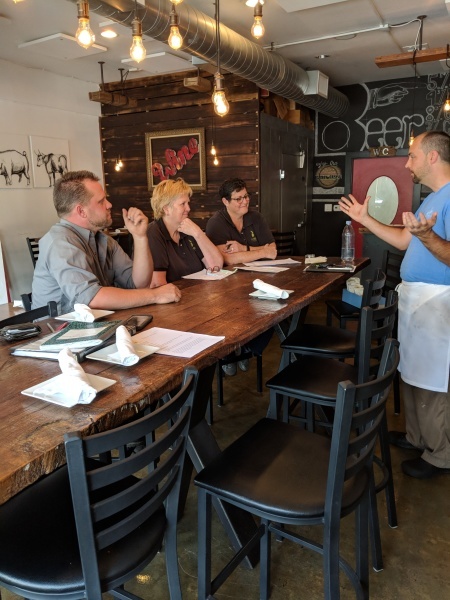 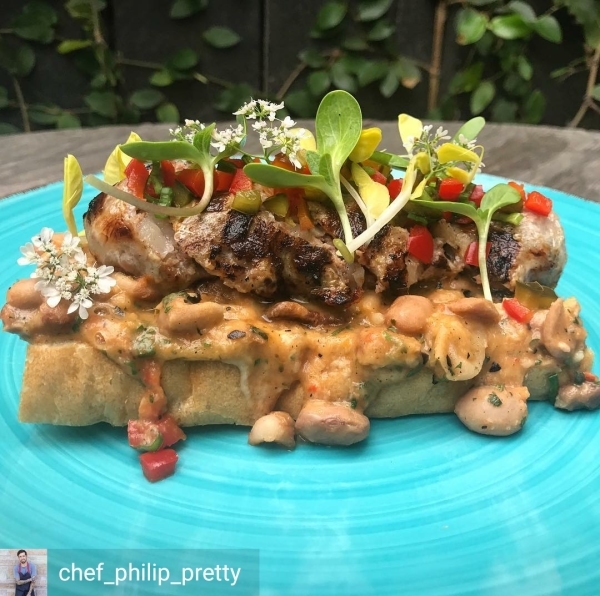 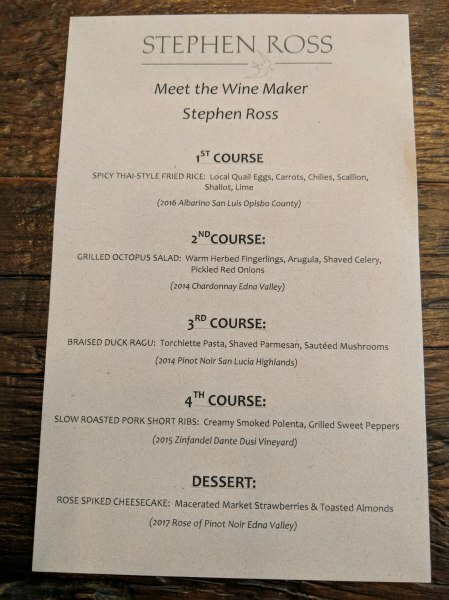 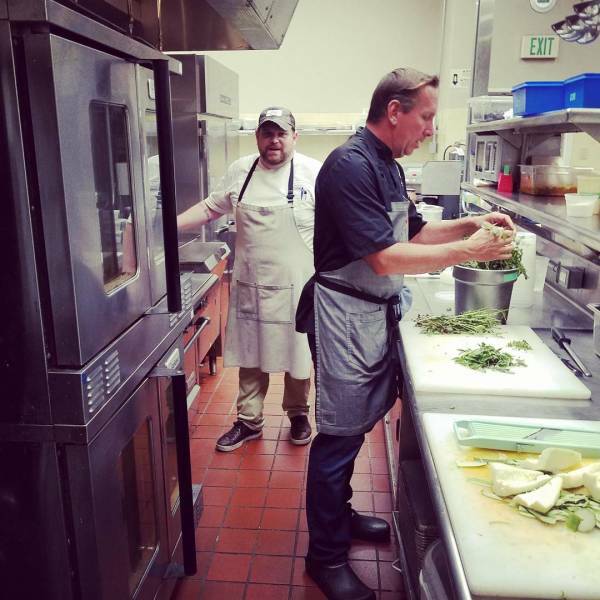 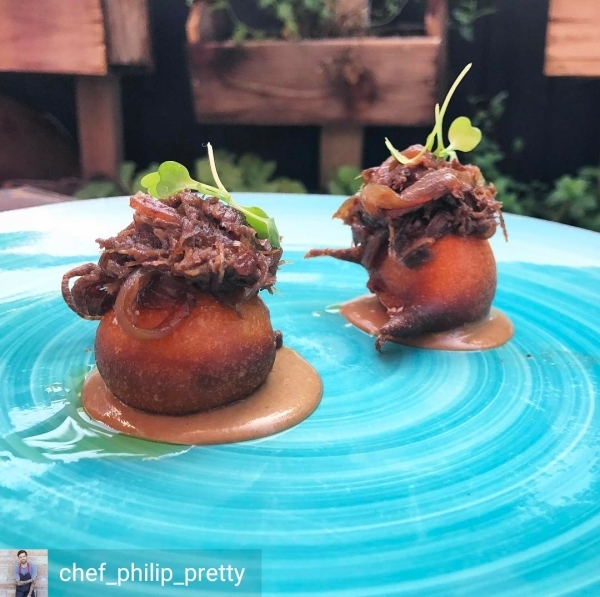 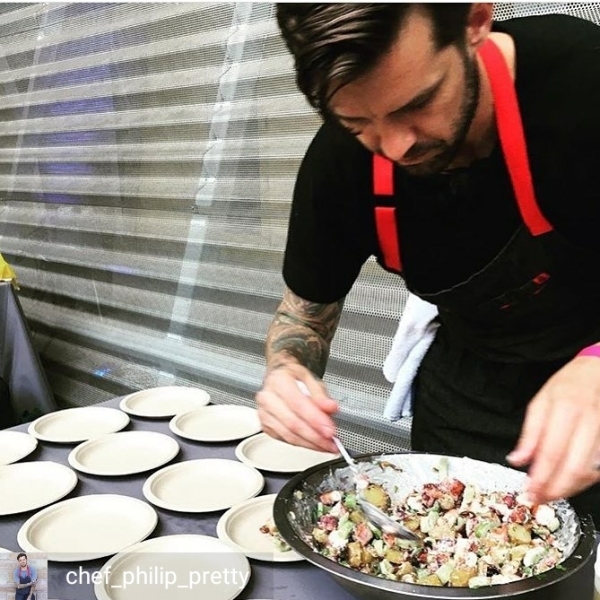 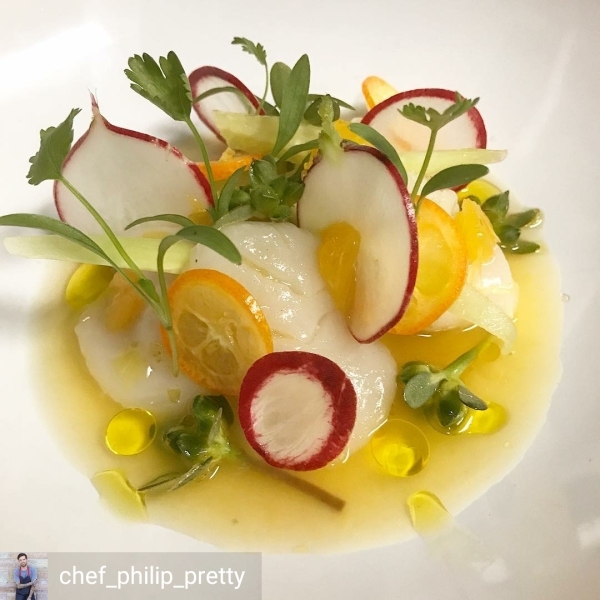 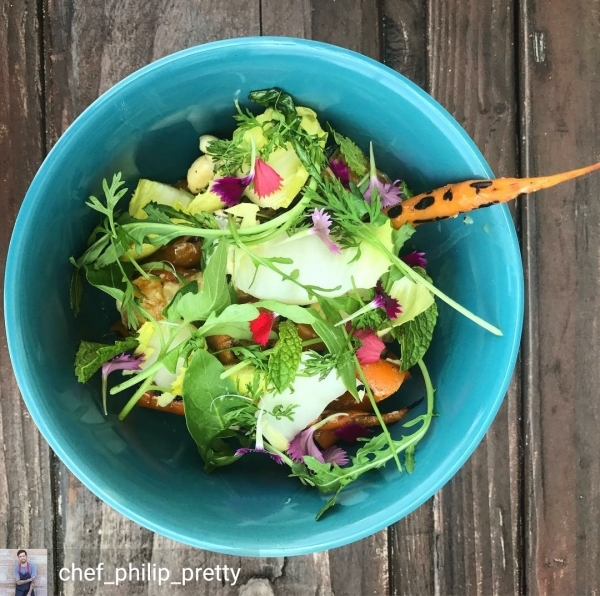 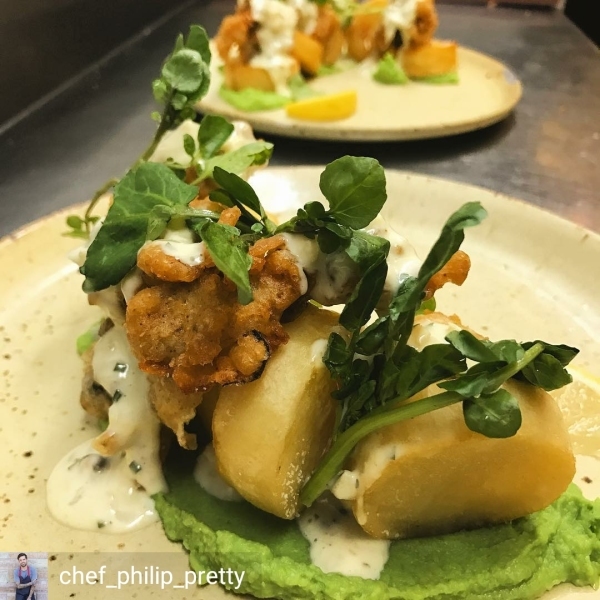 Co-owner Executive Chef Phillip Pretty can be seen painstakingly working over his menu, as well as, his growing list for his farm plots, to ensure his patrons experience the highest level of culinary magic to ever grace their palates. 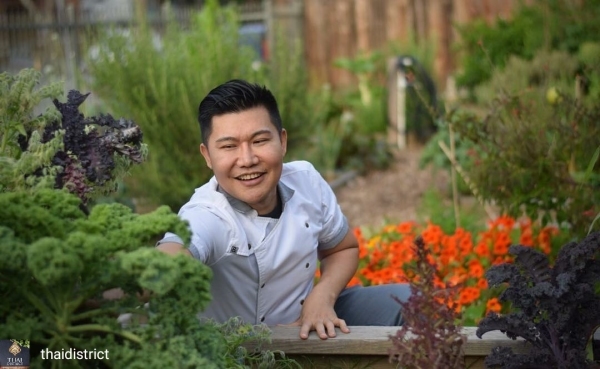 Fresh, natural, local and seasonal is his mantra. 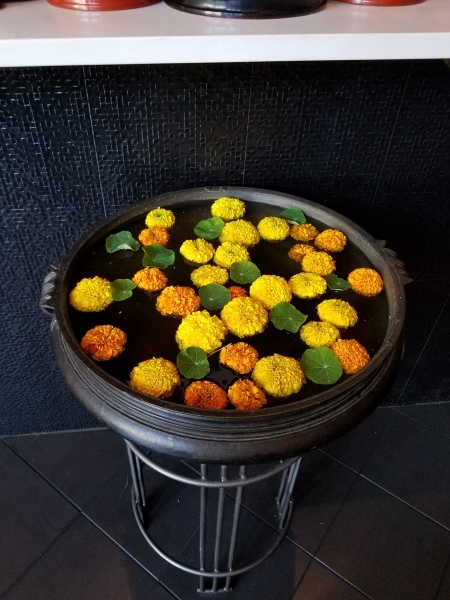 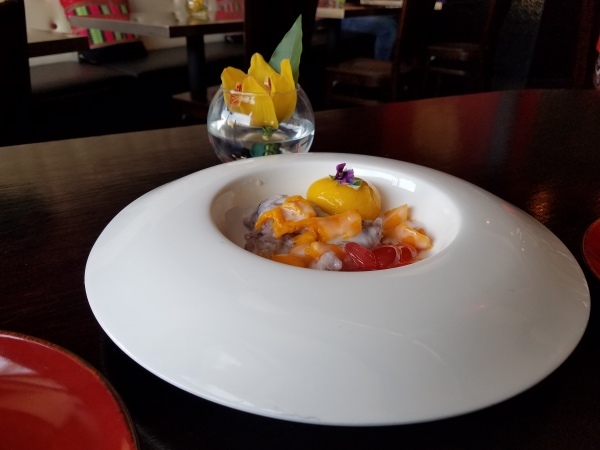 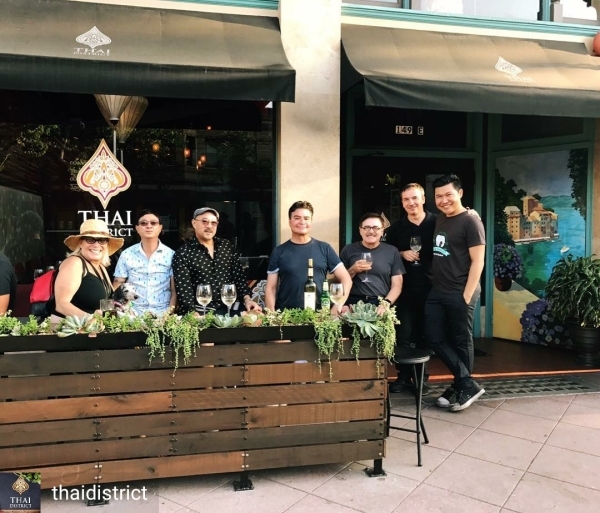 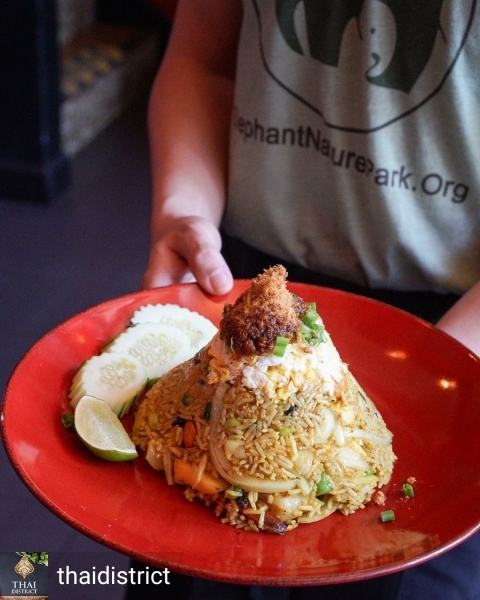 First and only modern Thai restaurant in DTLB. 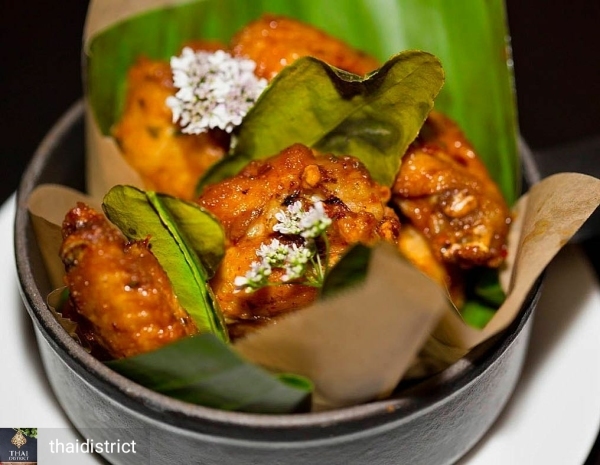 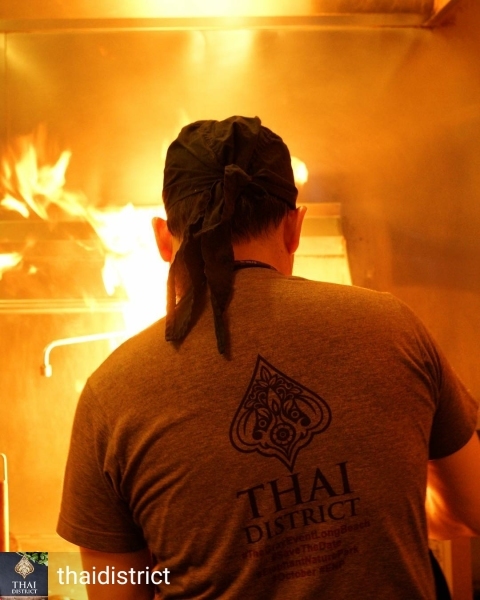 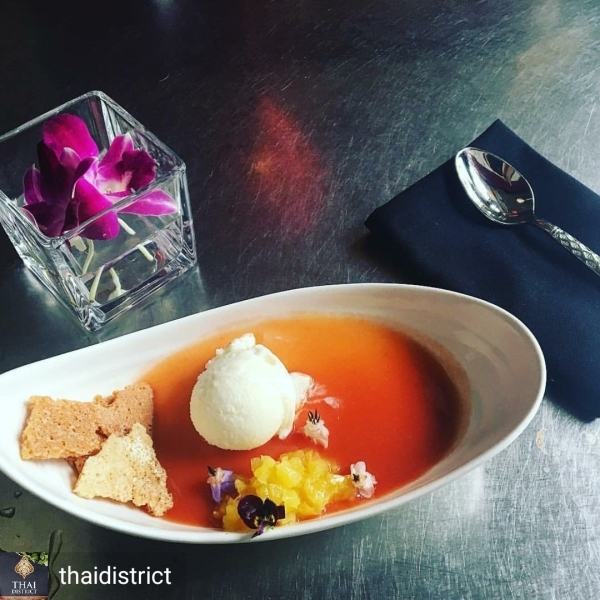 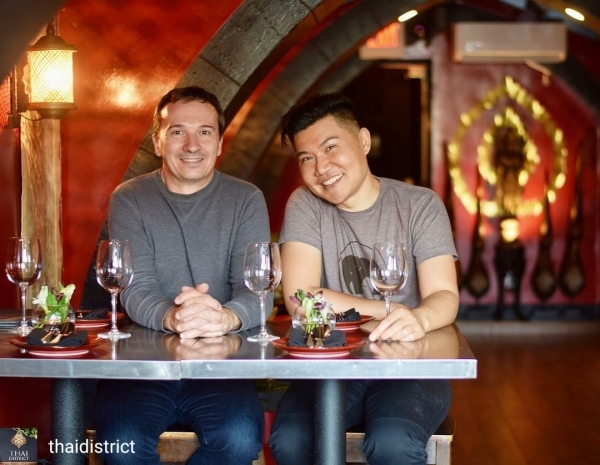 Thai District offers authentic taste & ingredients with northern style features + hip modern decor. 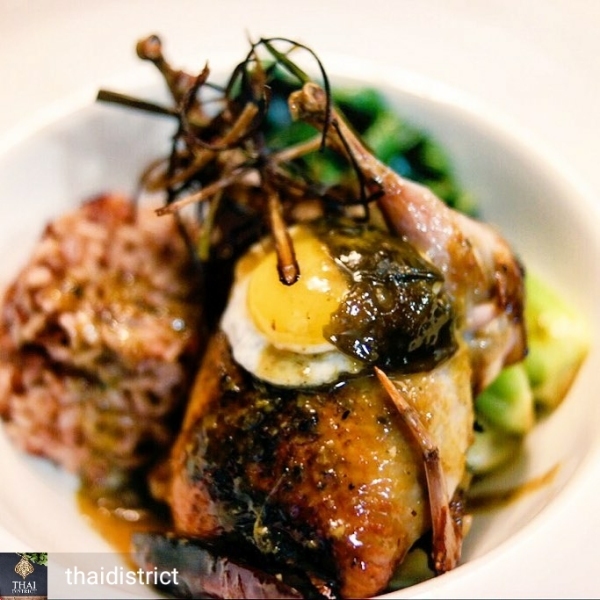 Chef Ty Theara's dishes display the genuineness, freshness and distinctive flavors of the old Siamese Masters, yet with the artful presentation of today's culinary giants. 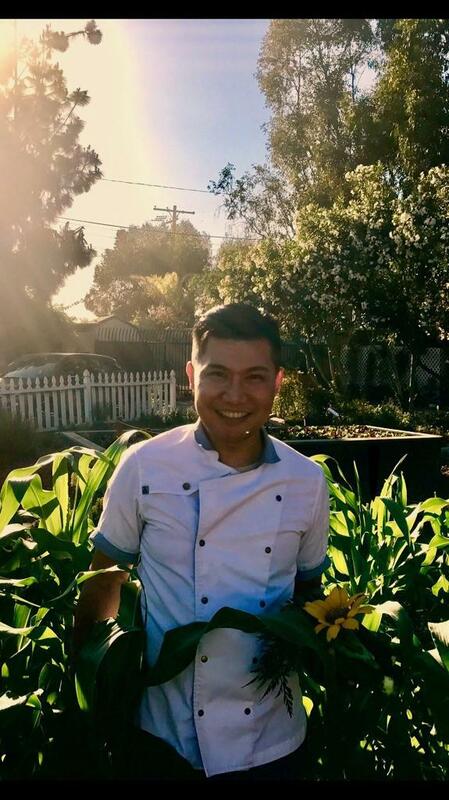 Chef Ty a natural farmer himself, propagates native seeds and seedlings from Thailand to preserve the integrity of his dishes. 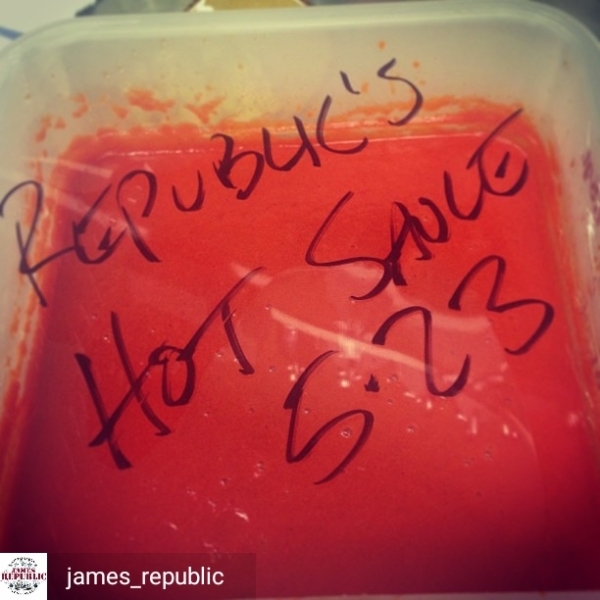 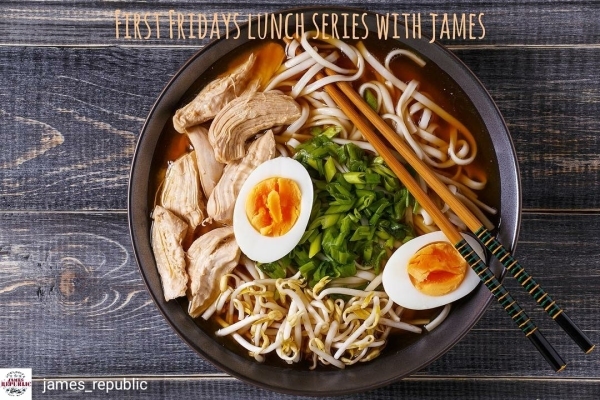 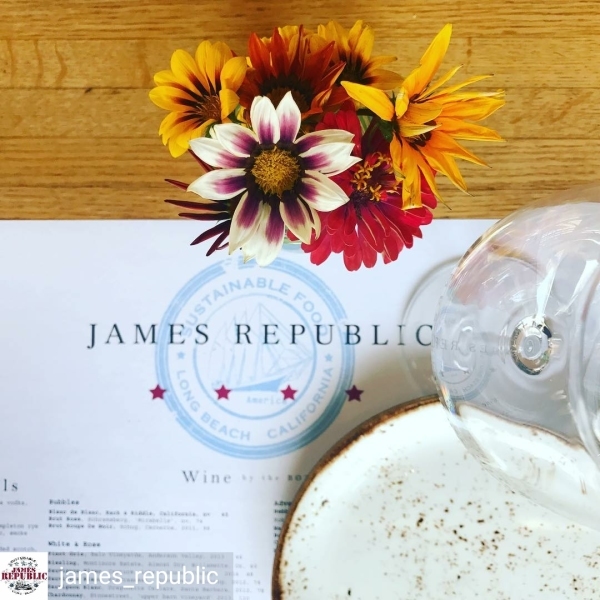 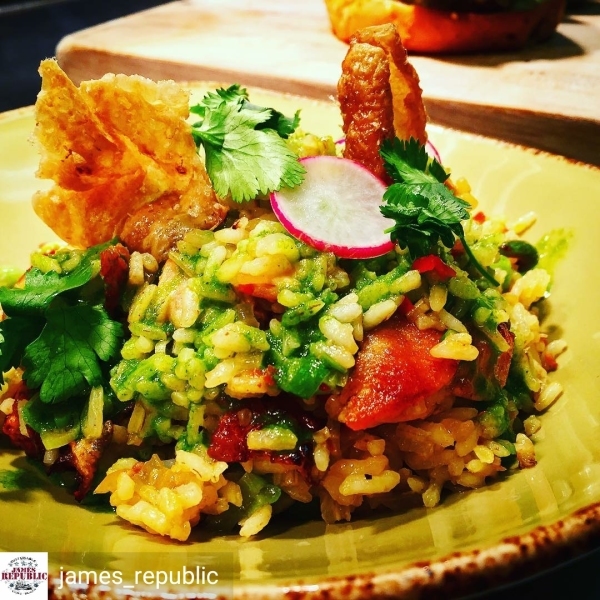 As Executive Chef at James Republic, he takes his culinary craft to new heights using the freshest of ingredients. 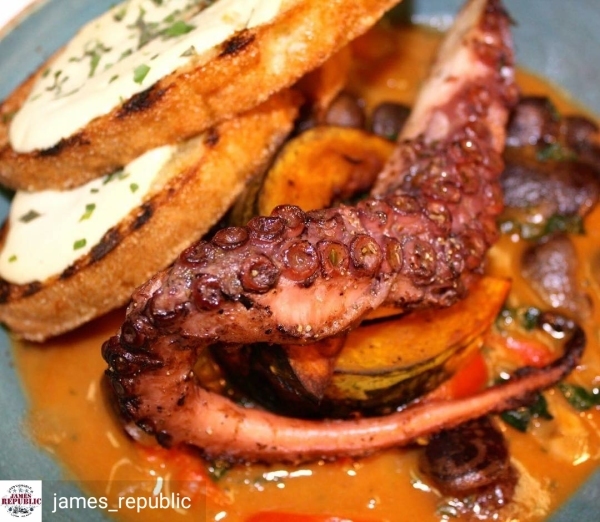 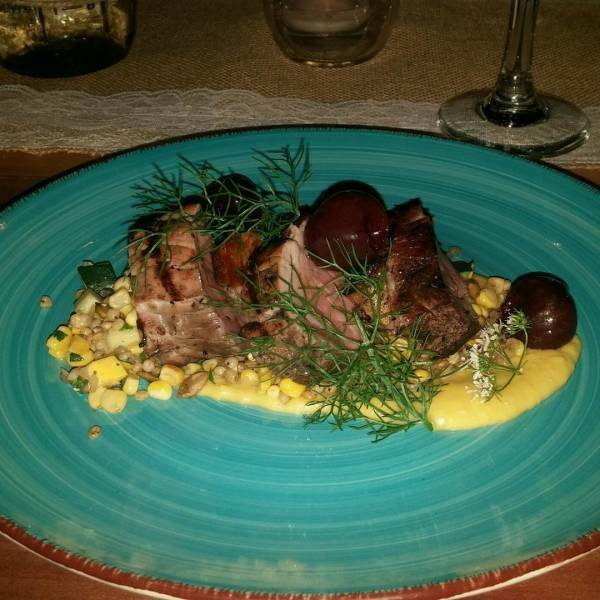 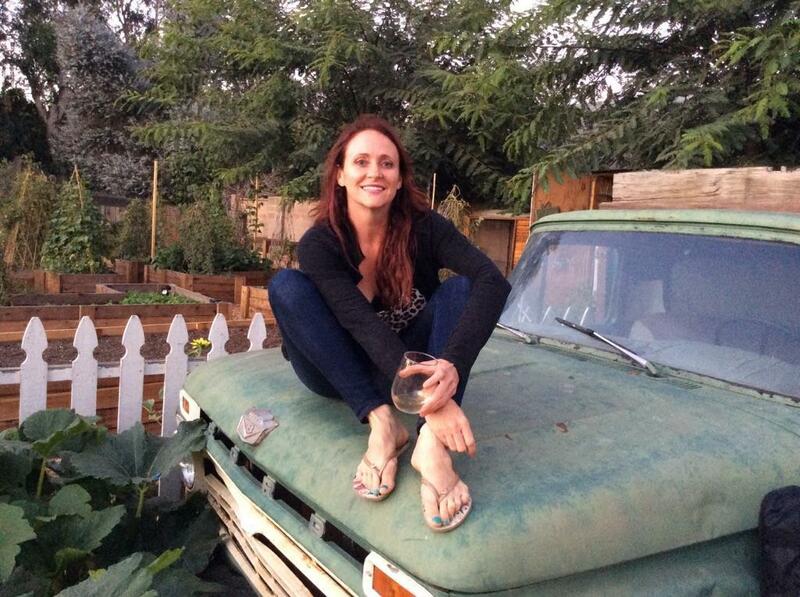 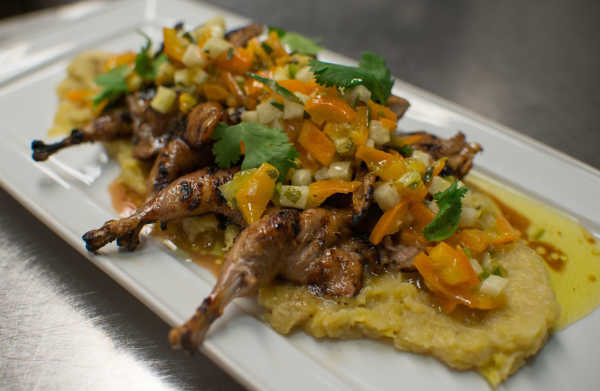 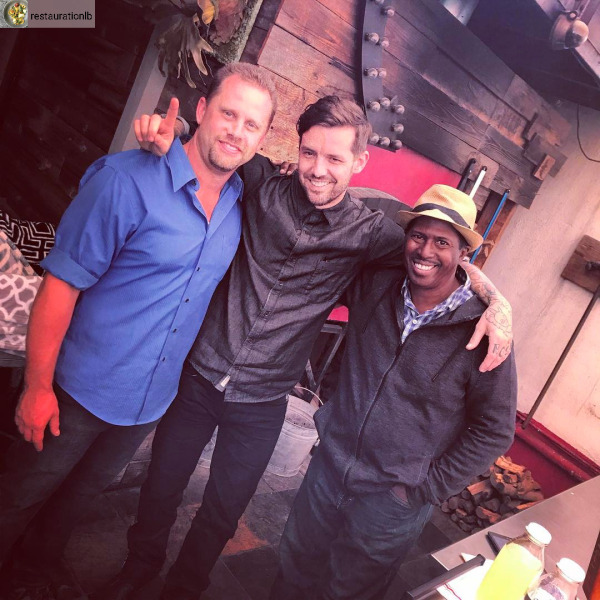 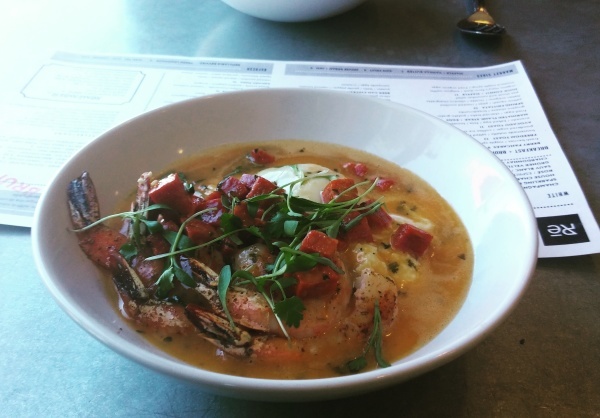 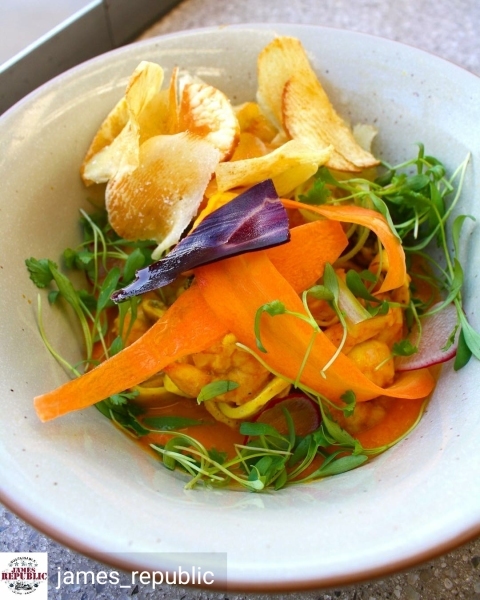 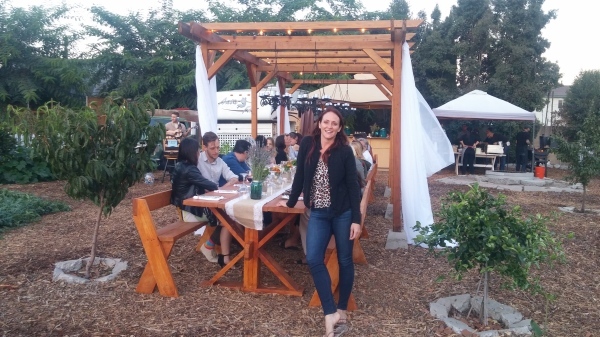 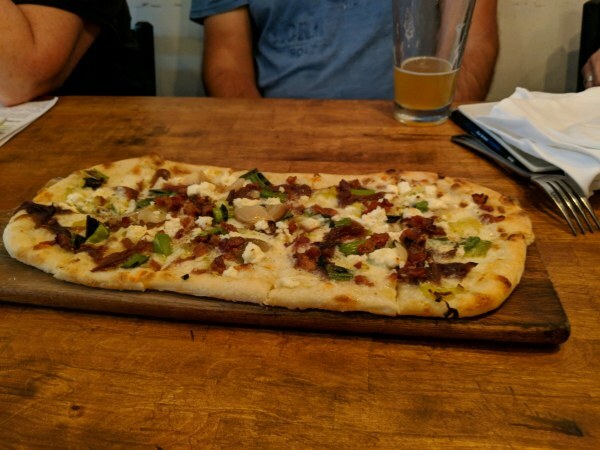 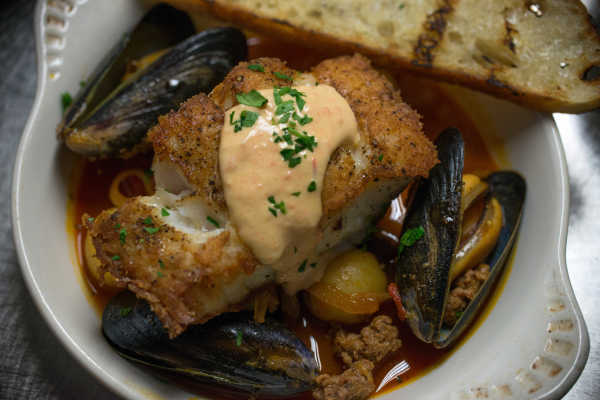 MacLennan's style of food is what James Republic refers to as modern Californian coastal cuisine. 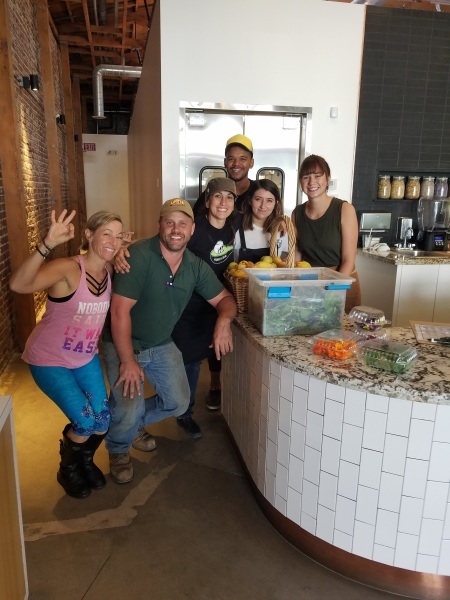 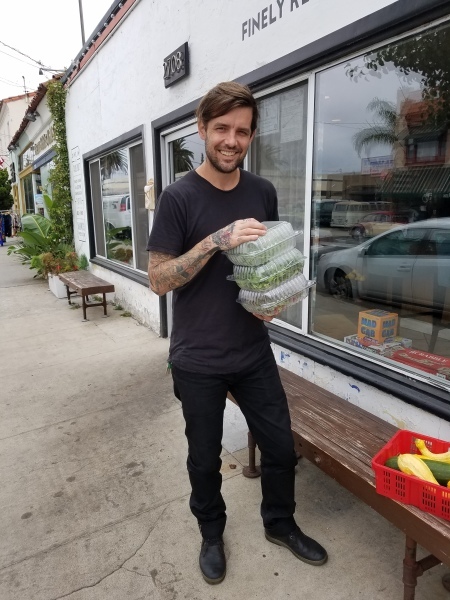 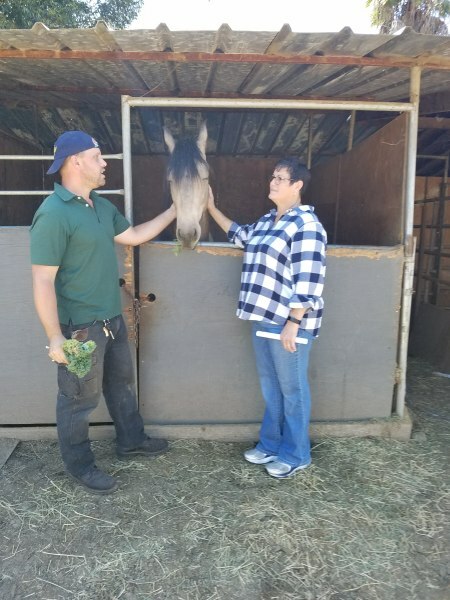 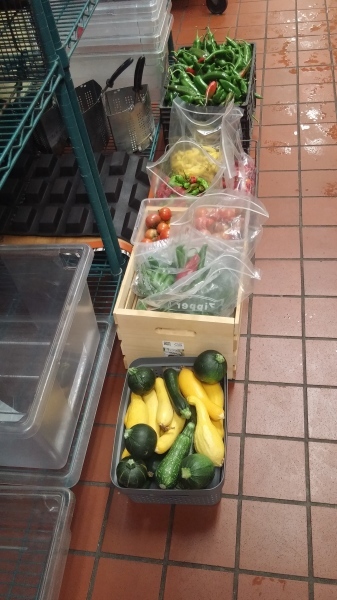 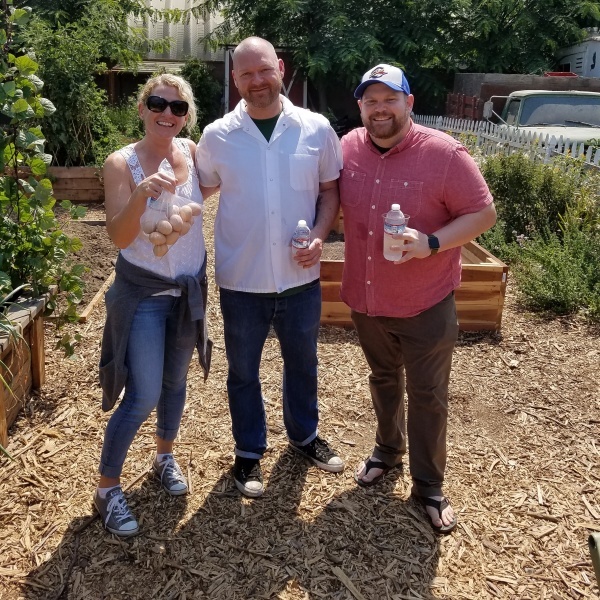 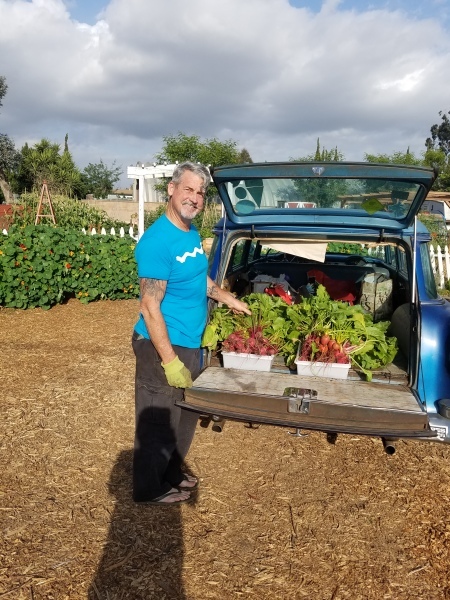 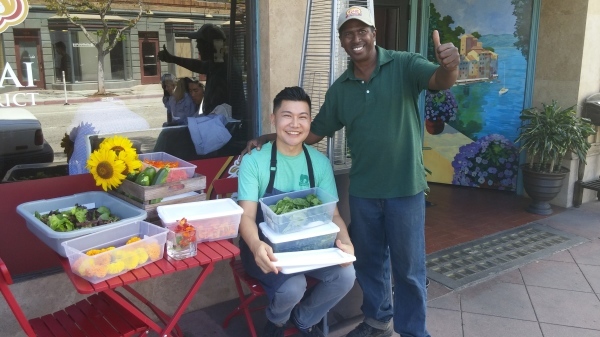 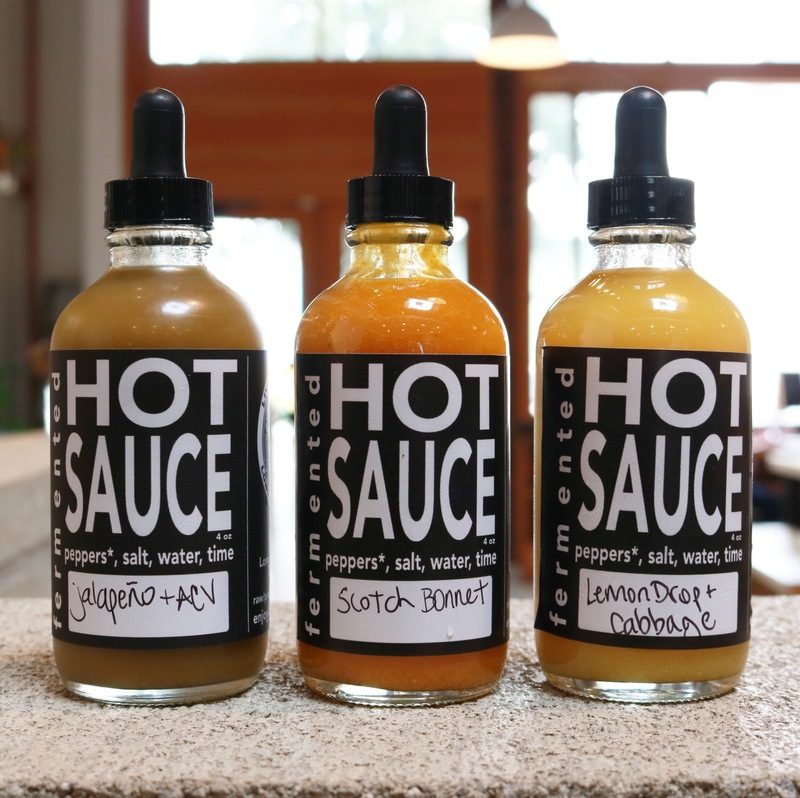 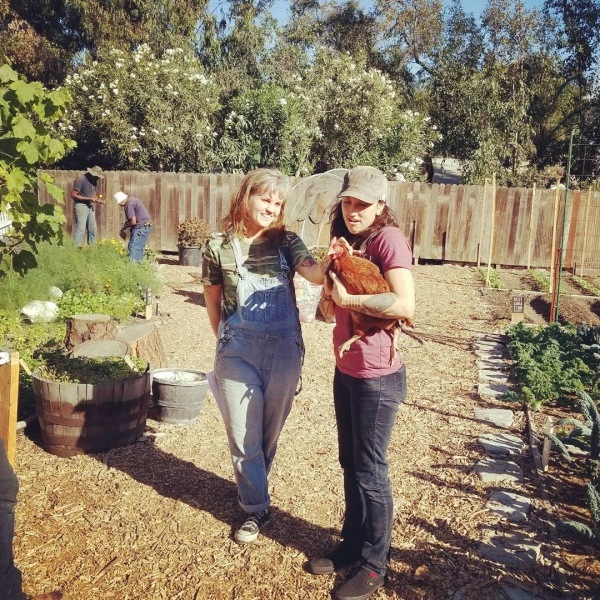 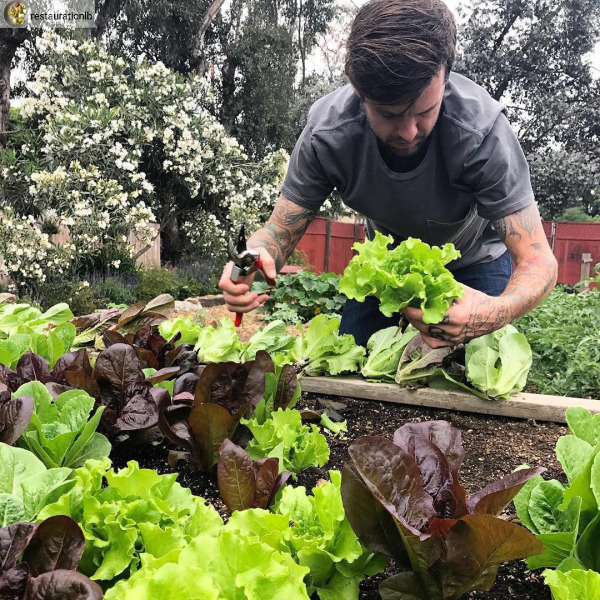 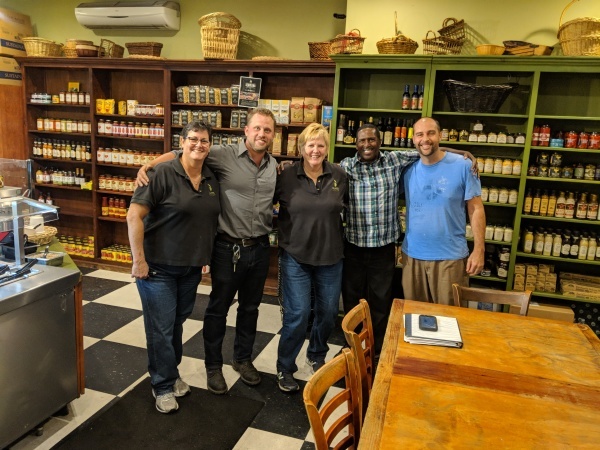 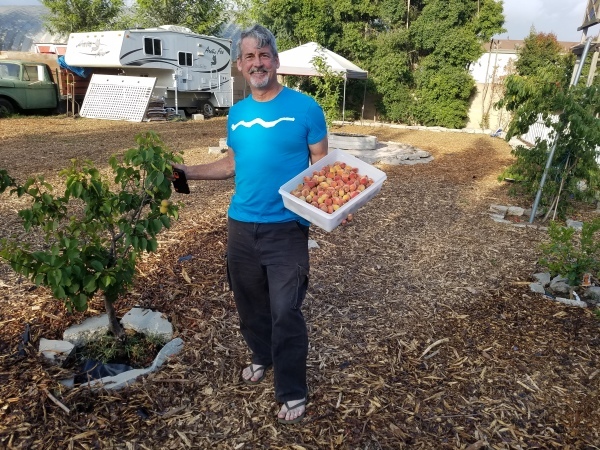 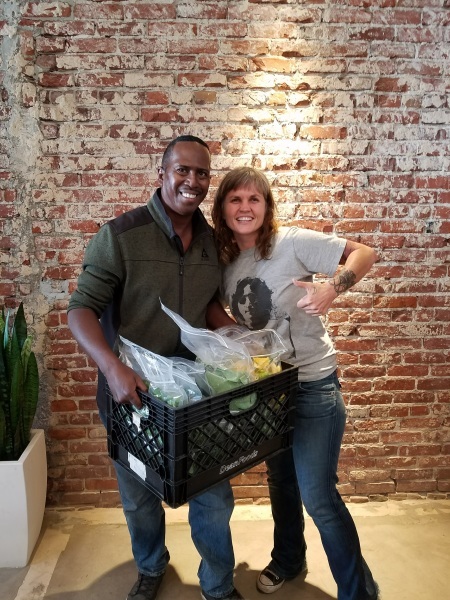 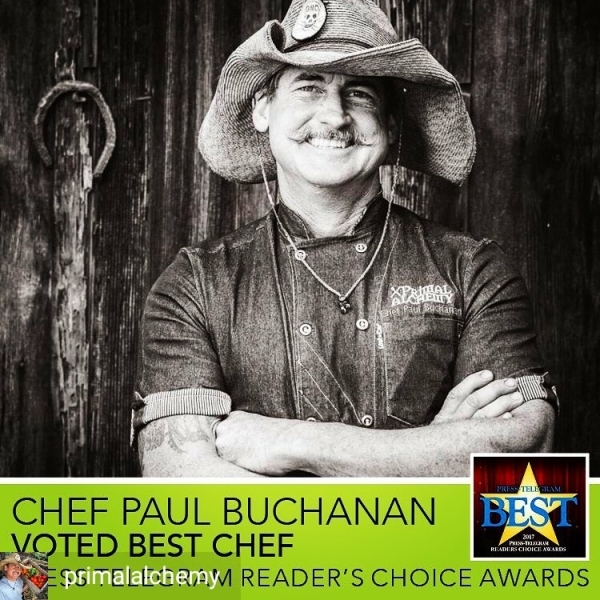 He goes to farmer's markets weekly, meets with his local purveyors and gets fresh local deliveries from his farm plots at Organic Harvest Gardens Farm twice a week to ensure each dish showcases the season's finest flavors. 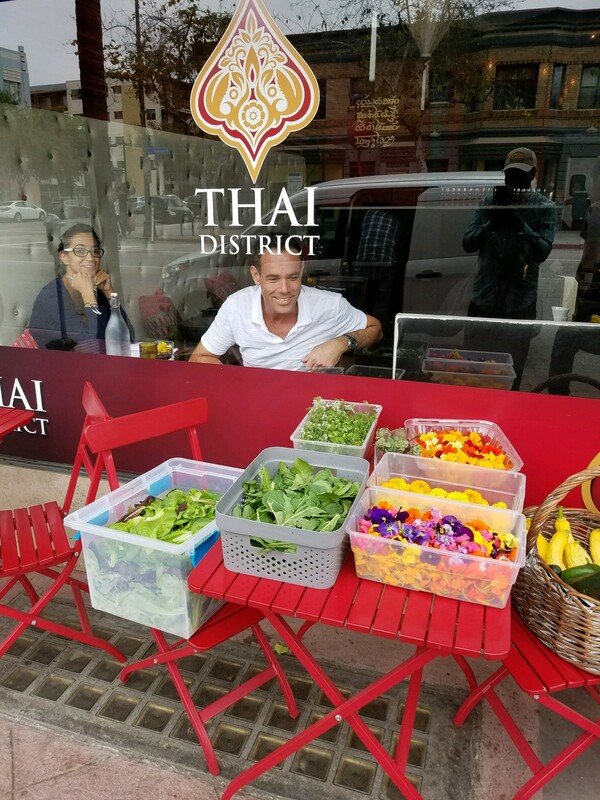 Raw, Local, Organic Goodness! 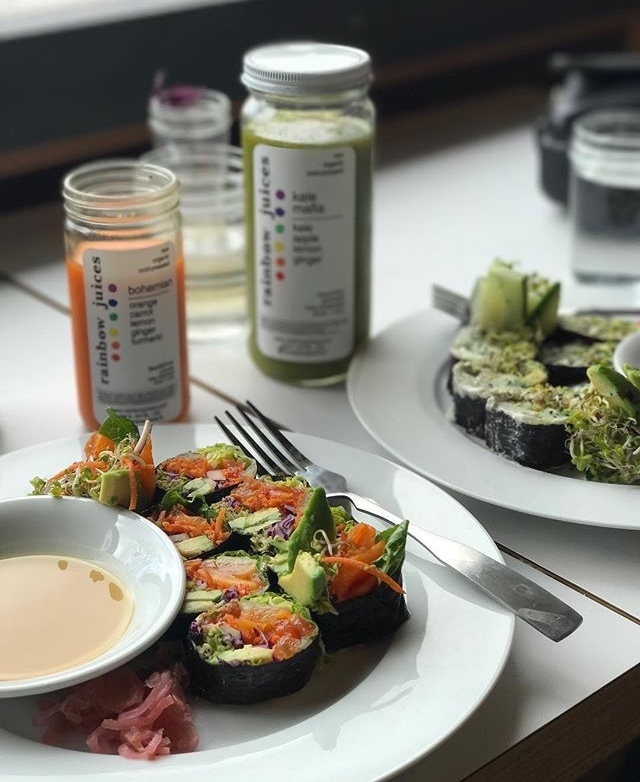 Under the Sun exists to support you in your pursuit of health + happiness with their offerings of high vibrational, organic, living foods + tonics. 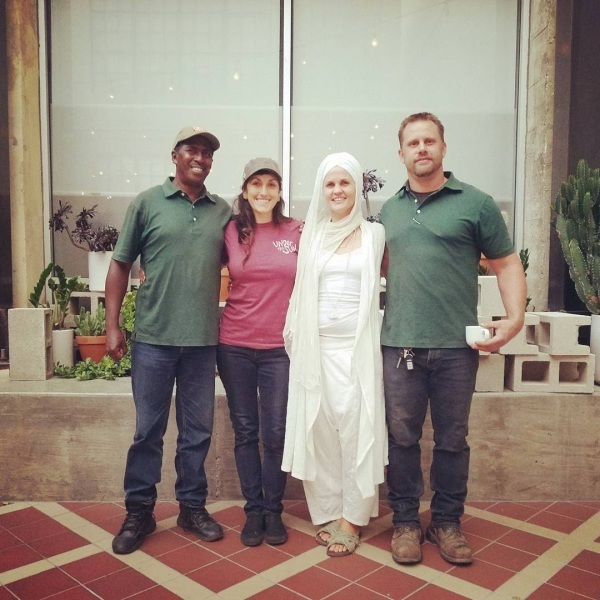 Their offerings will unfold daily and seasonally as they strive to bring you the best raw, living food on the planet. 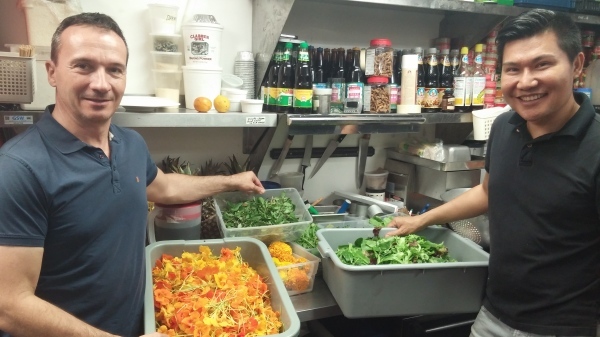 Rainbow Juices offers the freshest, highest quality juices available locally. 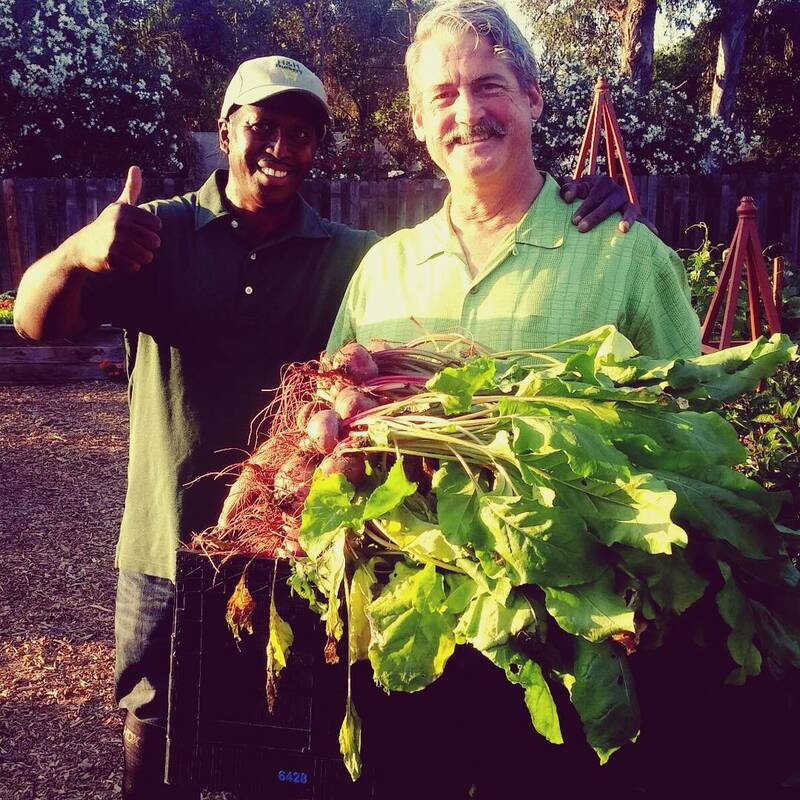 Their juices are extracted straight from the living source: Organic Harvest Gardens Farm & other local organic farms. 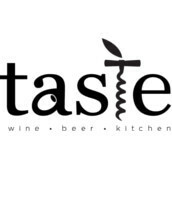 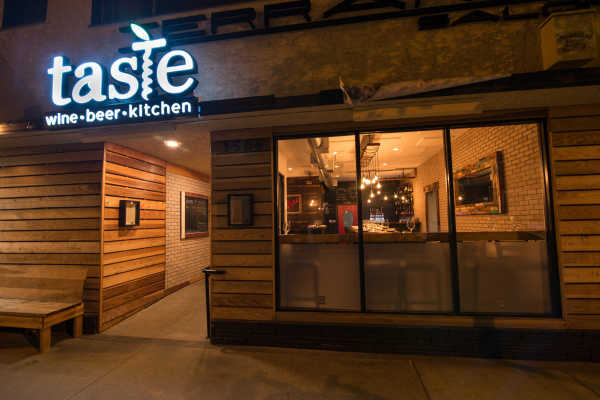 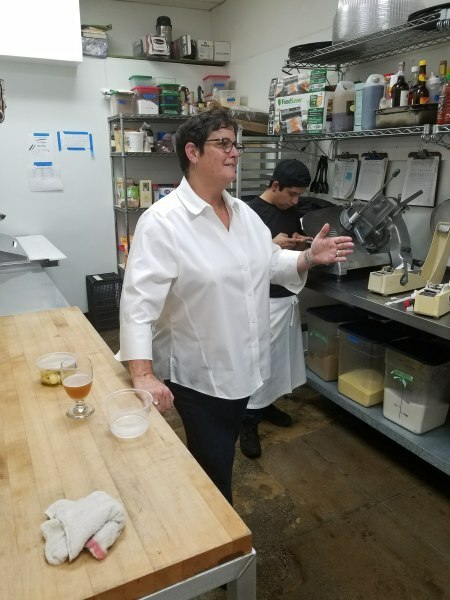 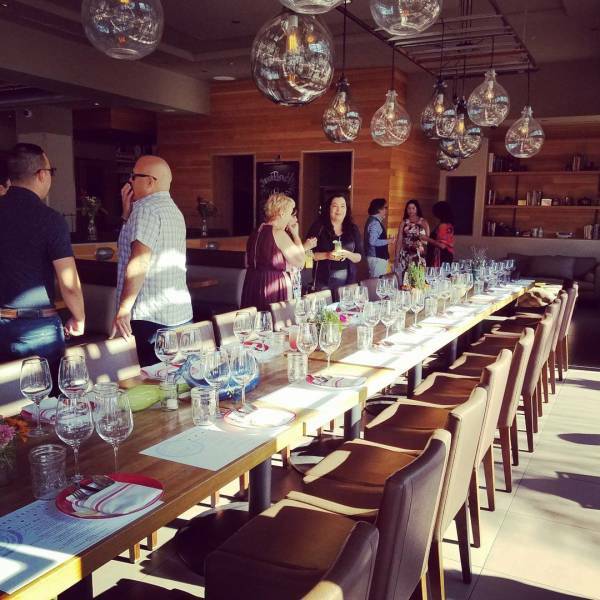 TASTE wine-beer-kitchen is a neighborhood restaurant and wine bar located in Belmont Heights, California. 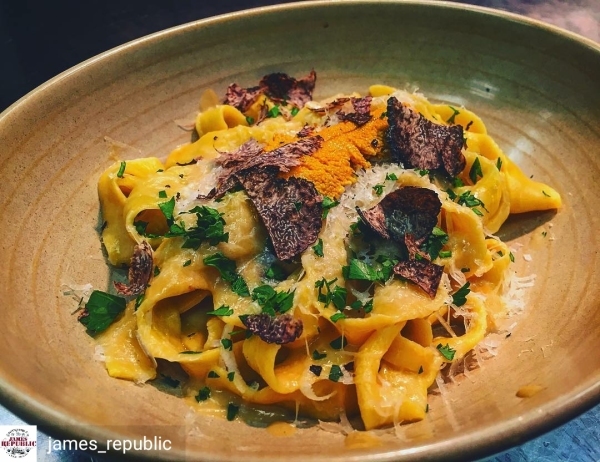 They cook elegant, rustic and honest food that takes your senses from classic, nostalgic flavours to new inspired dishes. 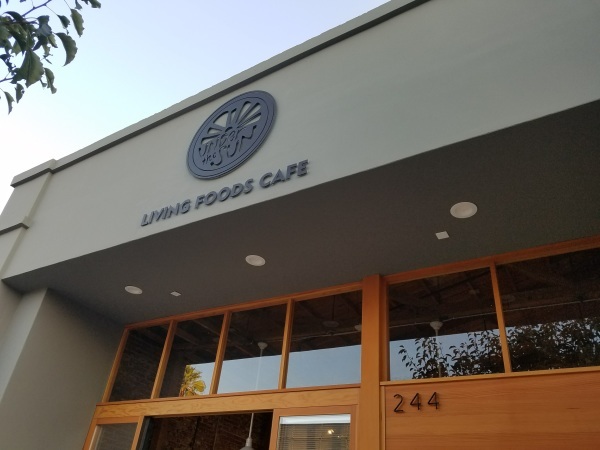 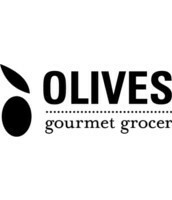 Olives Gourmet Grocer is a "real" neighborhood store, it's the kind of place where you will be greeted by name, where the employees will remember your favorites and suggest your favorites-to-be. 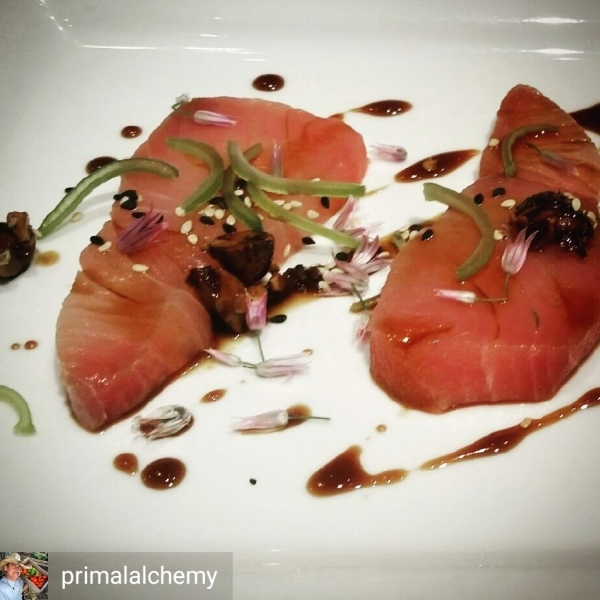 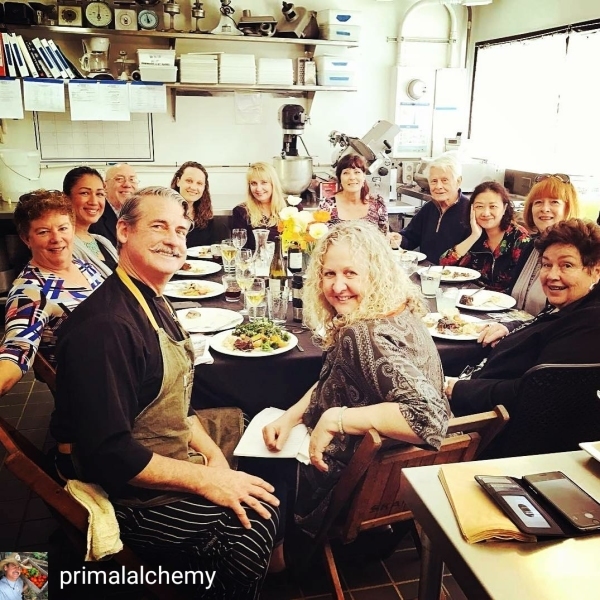 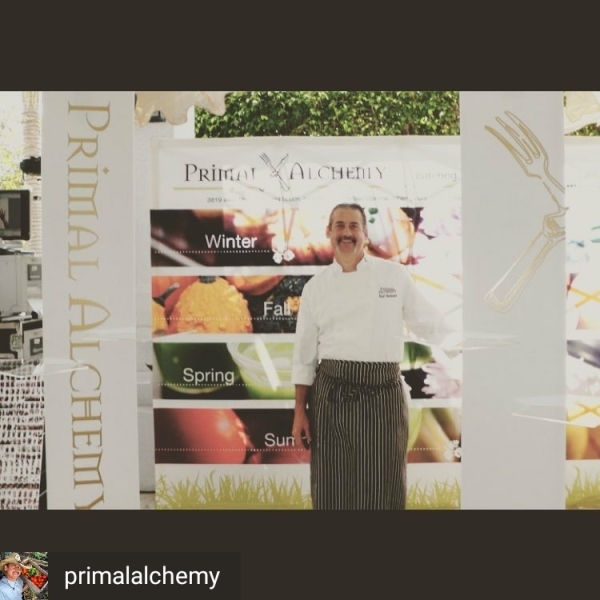 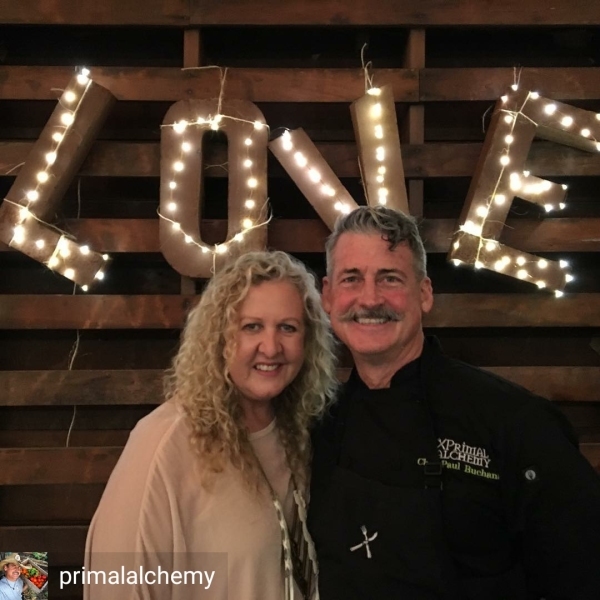 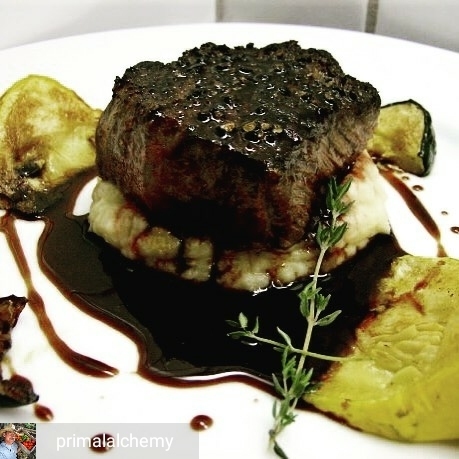 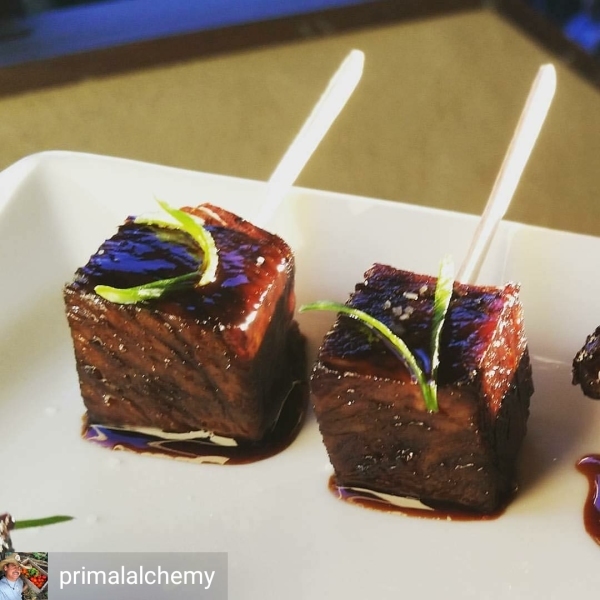 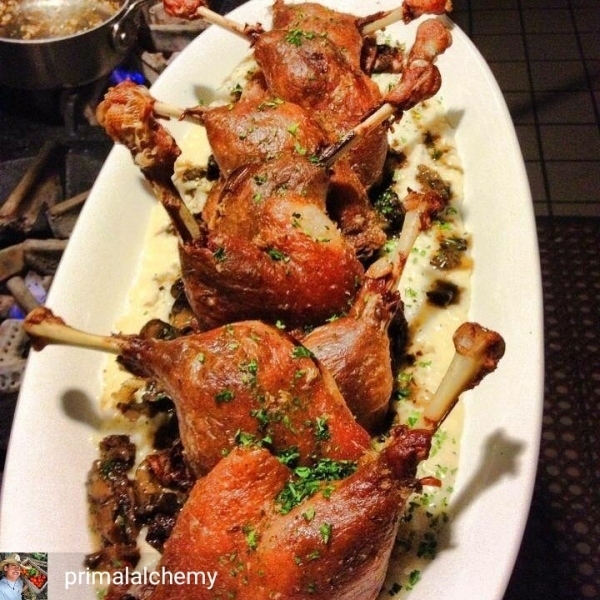 Primal Alchemy is a premiere caterer in the Los Angeles, Long Beach and Orange County areas. 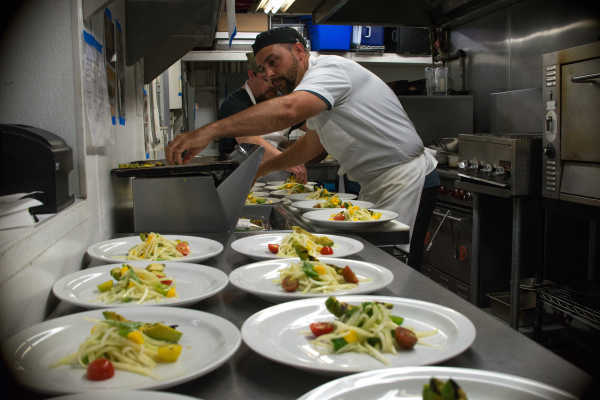 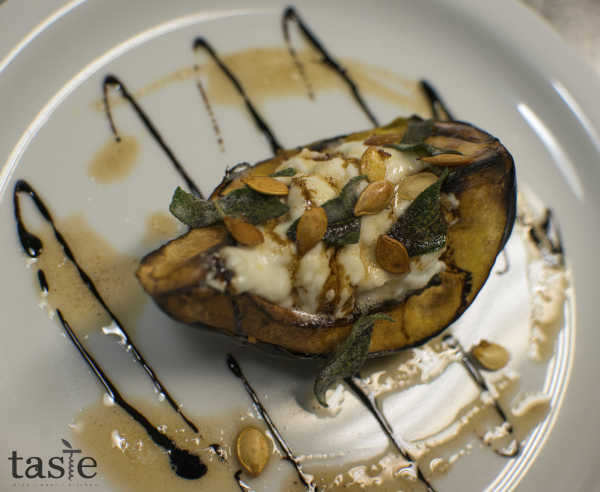 Our catering service promotes using fresh food, in season, grown locally, whenever possible. 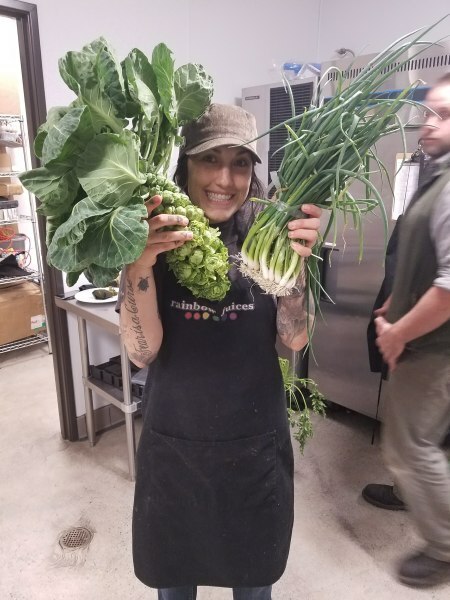 In many cases the best foods we can eat are extremely fresh, simply seasoned, and prepared in the most straightforward manner as possible. 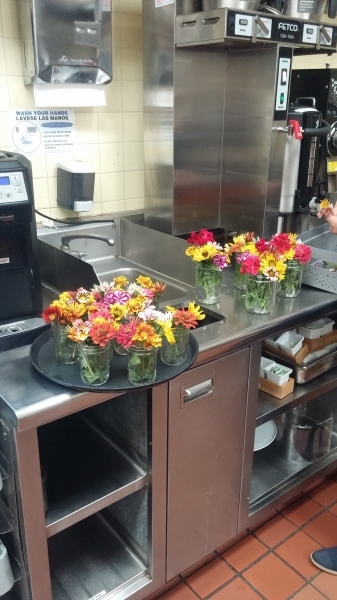 A wonderful experience we wish upon everyone everywhere.